Stunning 2-year old townhouse in Buttonwood Village of Brookline! Set in a child friendly neighborhood, this 4 bed/3.5 bath with 2,360 SqFt has it all. The main level features an open concept kitchen & living area with direct access to two private decks. The kitchen offers warrantied Sub-Zero & Wolf appliances, granite counter-tops, and a beautiful breakfast bar island. Master penthouse suite is a retreat with spacious his & her closet and a master bath featuring steam shower, heated floors, and marble vanity w/dual sinks. 2 large bedrooms, full bath w/linen closet, and laundry room are located on the 3rd floor. 1st floor en suite bedroom currently used as an au-pair suite. Natural sunlight fills the home and there's an abundance of storage. Navient tankless hot water heater, garage & off-street parking, central air, and much more! 10 minutes outside the city with the MBTA bus stop just a block away. Local amenities: The Street, The Shoppes @ Chestnut Hill, and Wegman's. 30 Meadowbrook Rd #2, Brookline, MA 02467 (MLS# 71972851) is a Condo property that was sold at $1,080,000 on July 08, 2016. Want to learn more about 30 Meadowbrook Rd #2? 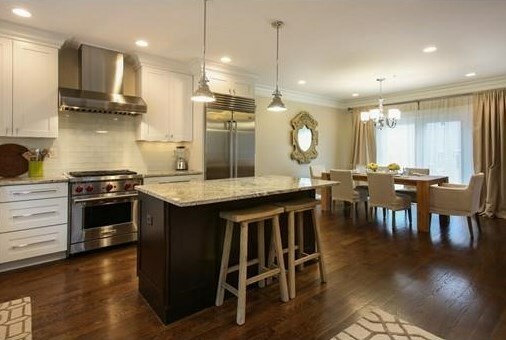 Do you have questions about finding other Condo real estate for sale in Brookline? You can browse all Brookline real estate or contact a Coldwell Banker agent to request more information.